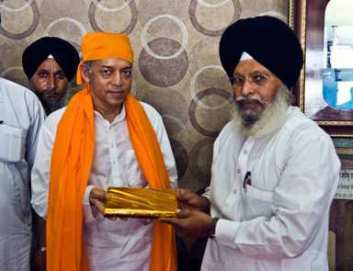 During the satsang tour in North India, Pujyashree Deepakbhai visited Golden Temple, Amritsar (Punjab). 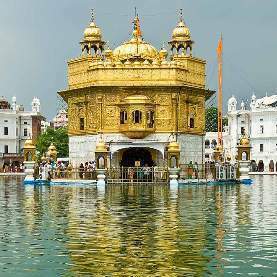 Pujyashree took blessings from Shree Guru Granth Sahib and prayed to bless all those who come for darshan so that they attain Self realization. 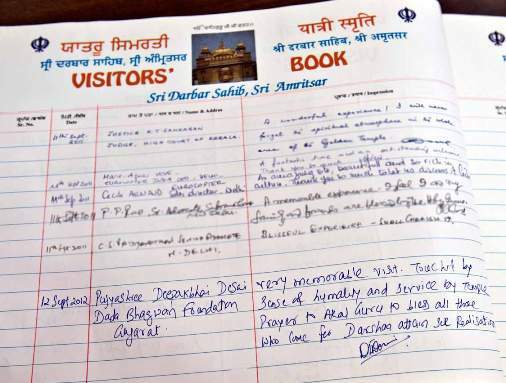 Authorities of Golden temple honored Pujyashree very happily and offered Shawl and Books as a mark of respect. A special guided tour of whole temple was also given. As per Param Pujya Dadashri’s concept of Nispakshpati(Non-sectarian), Pujya Deepakbhai followed all their rituals and practices. Thereafter he also took Prasad in their community kitchen called “Langar”.